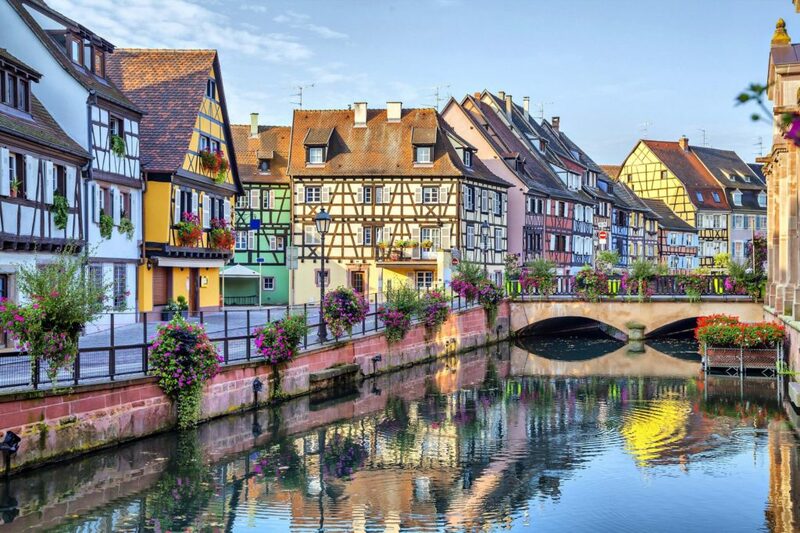 Alsace is one of the premier winemaking regions of France, but is often overlooked. Wine drinkers are quick to choose Bordeaux, the Rhone, Burgundy or Champagne as their favourite. Alsace doesn’t quite have the same global name recognition, but the wines are equal to anywhere else. Additionally, Alsace is much easier to get a handle on for newcomers. The bottles are varietally labelled, so you know what grapes the wine is made from. The cru system is much easier than that of Bordeaux or Burgundy. They share similarities with delicious German aromatics, but without the confusing classifications. The only official language is French, however German is widely spoken and the Alsatian dialect remains important. Needless to say the German tradition of winemaking is a big influence on Alsatian wine. 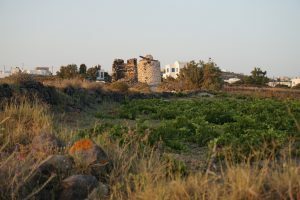 However, the most important influence is the terroir. 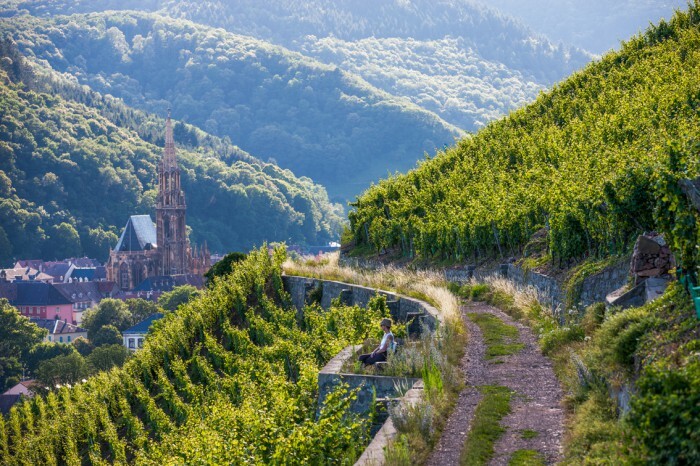 The wine region lies betwen the Vosges mountain range and the Rhine river, with incredibly diverse soils resulting from geological development and tectonic plate movement. The tributary rivers that flow throughout the region affect the diurnal range. 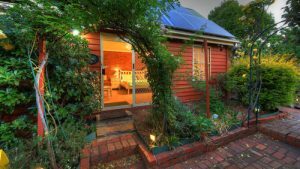 That means the ripening period during the day extends into the cool of night. The slopes and aspect of the vineyard are very important, meaning which direction they face and the amount of sunlight they receive. The remaining 10% is Pinot Noir, which often surprises people. Riesling – Ranging from dry and refreshing to rich and sweet, there are as many styles of riesling in Alsace as there are villages amongst the foothills. Pinot Gris – These are the wines often referenced by new world winemakers when comparing with the lighter, crisper Pinot Grigio. Great Alsace Pinot Gris has rich, spiced pear, and more of a medium body, luscious texture that often has a little residual sugar to keep it balanced. Gewurztraminer – Alsatian Gewurztraminer is typically rich, medium bodied and full of heady spice and floral aromas. These wines are sought after for their ability to pair with difficult foods. Cremant – There is a long tradition of making sparkling wines in Alsace, some even rivalling Champagne non-vintage when made in the traditional method. Blends – Field blends are common, where wines are made from several different grapes for amazing balance and complexity. Some of the best often use six or more white grapes. Light reds – It is uncommon to find these wines outside of Alsace. The light red wines made from Pinot Noir are to satisfy domestic demand for red. 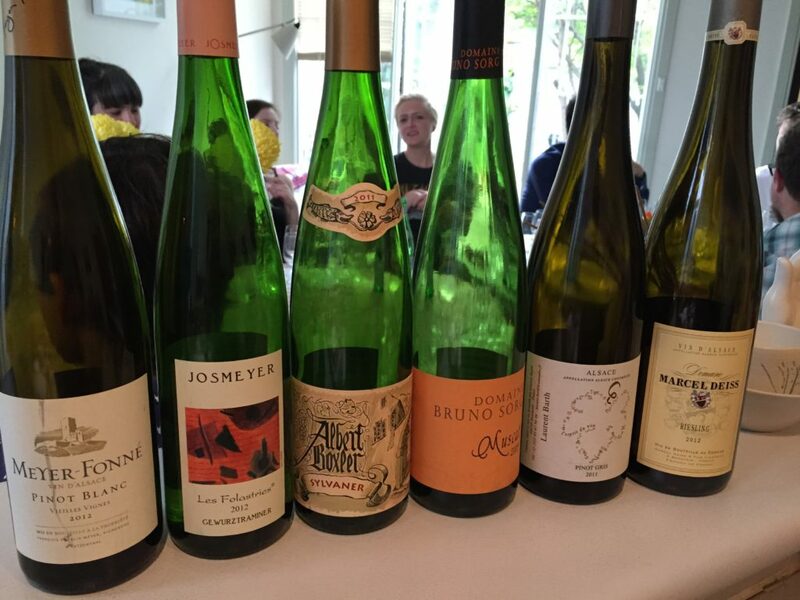 For more wine knowledge, check out our introduction to Burgundy, or our article on pairing riesling with food, for what to eat with your Alsatian riesling.